Q: Could you provide our readers with a brief introduction to Wheeleez? A: The WheelEEZ® brand is wholly owned and operated by Asian Prime Sources, LTD of Hong Kong and was first to feature low pressure balloon wheels with tires utilizing special US made Polyurethane plastic material to industrial and recreational markets world-wide. 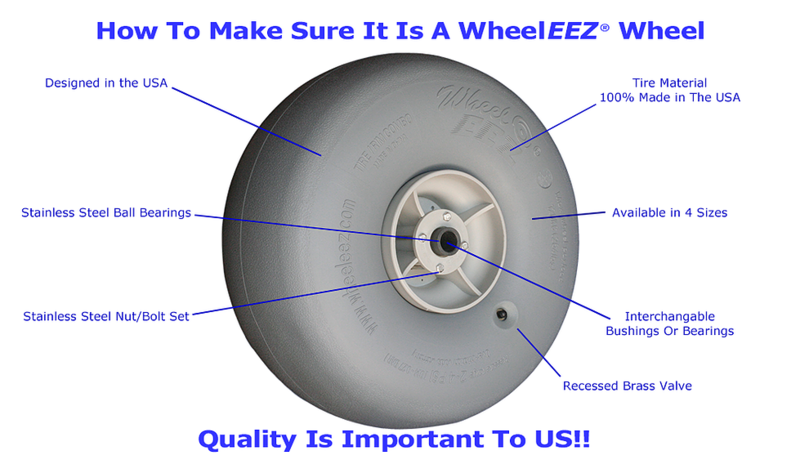 Wheeleez, Inc. is the North American Distributor of WheelEEZ® brand products. Low pressure PU Balloon wheels and PU Foam Tuff-Tire wheels are supplied to OEM accounts as well as used on a number WheelEEZ® brand ready-to-roll carts and dollies which are distributed through retail channels. Q: You’ve recently been elected for 2018 Rover models; could you tell us something more? A: It is interesting to note that University Mars Rover team use of the WheelEEZ® Balloon wheels has grown from the initial Oregon State University team in 2014 to now 5 or 6 teams world-wide having used the wheels, including India. Further Rover design work has been done by NASA’s Robotic Vehicles and Manipulators Group. Q: What makes your wheels unique? A: They feature a very durable, low pressure, Polyurethane tire sandwiched between 2 piece, flanged, plastic hubs. This design permits the tire to flatten out under heavy load while floating on top of soft surfaces such as sand, mud and wet turf without sinking, plowing and rutting in like a standard wheels will. The WheelEEZ® wheel also affords maximum vibration dampening and shock absorption required in many industrial applications. Q: What sets you apart from the knock off balloon wheels out there? A: Please see the following link detailing key features that set us apart from imitators. Q: What can we expect from Wheeleez in 2018? A: As we transition into the new year, Wheeleez will be placing a great deal of emphasis on the development of all-terrain mobility equipment. These product lines will include Electric All-Terrain wheelchairs and also Rollator type walkers outfitted with balloon wheels. We have also introduced a conversion kit enabling end users to quickly convert standard wheelchairs to beach worthy wheelchairs.